A worldwide Christian nature conservation organisation which has its UK office in Southall. A project for the homeless and marginalised based in St Saviours, Cobbold Road, Shepherds Bush. A worldwide mission organisation established in 1799. St Dunstan's was previousy supporting Kate and Nick Wooding working in Uganda. They have now returned home, and we are planning to support Dorothy in Sudan. We collect in the neighbourhood for Christian Aid during their campaign week in May every year. Our annual Christingle service supports the Children's Society. A home for abused young girls in Guatemala that seeks to provide a safe haven and restore their dignity. A team from St Dunstan's is planning to do a mission trip again later this year. Sponsor a girl. 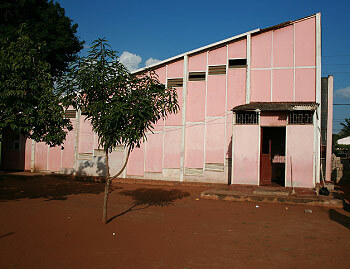 For many years St Dunstan’s has had a link with an Anglican Church in Mozambique called St Mark’s. Most of our communication has been through letters and more recently the internet. However in 2010 I was able to spend a fortnight with the people of St Mark’s. I stayed for some of the time with their vicar Rogeiro Simone and his family but also spent a week travelling seeing some of the projects that the Anglican Church had initiated in southern Mozambique. 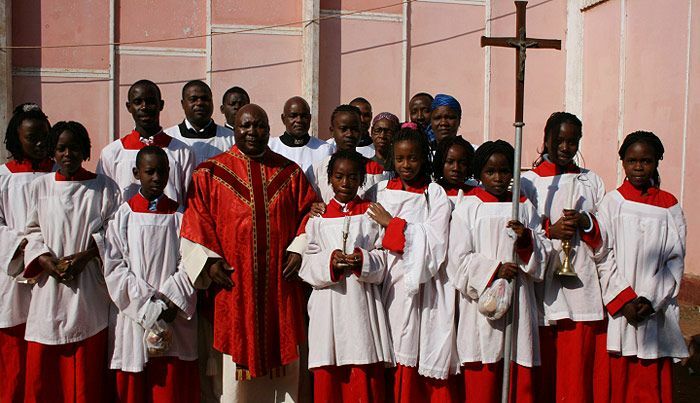 Although small, the Anglican Church in Mozambique has had a profound effect on many lives. In my short stay I saw how churches had set up orphanages and schools, provided water pumps and mosquito nets, offered training opportunities to the unemployed and had played its part in bringing and sustaining peace in a country ravaged in recent times by civil war and floods. Some of the pictures below show some of the projects I saw. Mozambique is desperately poor, the average life span is 38 years old. However I witnessed and even experienced time and time again the incredible generosity, solidarity and joy of God’s people in their service to others.